Thursday 11/10/2012. Bush Search and Rescue was called out for a 10pm departure from Melbourne. Fri 12/10. 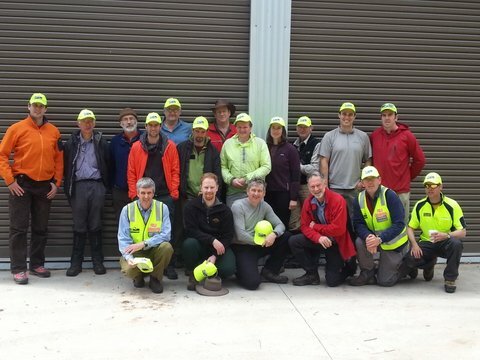 18 BSAR members travelled to Licola to render assistance. The BSAR group returned to Melbourne at 4pm. Victoria experienced unseasonal cold winter conditions, including snow in alpine regions. A high school group of 11 students and 3 staff was stranded by bad weather and snow while on a bushwalk in the Wellington Plains region of Gippsland. The group was successfully evacuated by the SES and Victoria Police using oversnow transport. 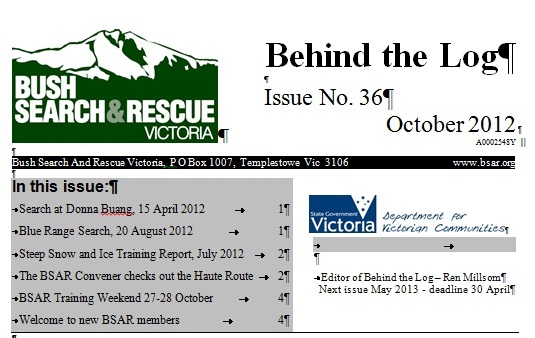 The October 2012 edition of Behind The Log, Bush Search and Rescue’s regular newsletter, is now published and can be downloaded from [here] (pdf).